Home / EDITORIAL / Xhibition x adidas Consortium Terrex Tracefinder and Capsule Collection. 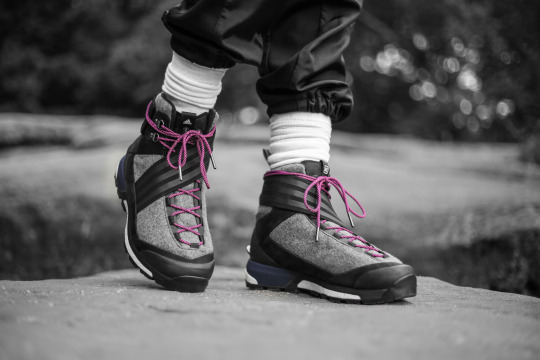 Xhibition x adidas Consortium Terrex Tracefinder and Capsule Collection. The winters in Northeast Ohio are hard: sometimes even brutal. Lake-effect snow and sub-zero temperatures create the need for footwear with serious durability. Whether it’s trudging to your car through two-feet of snow, or braving the elements for an outdoor excursion, you’re not getting very far in knit runners. When Xhibition was approached by adidas Consortium to work on their first joint project the choice was easy: Create a piece that combined fashion with rugged function. 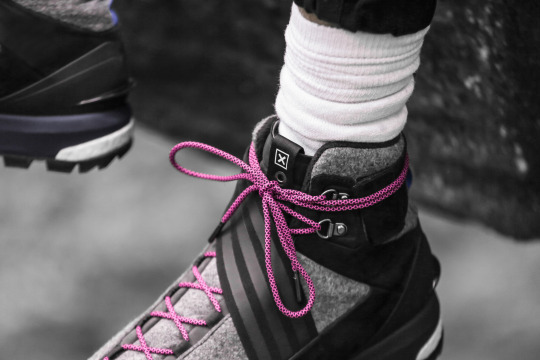 The Xhibition x adidas Consortium Terrex Tracefinder is the amalgam of two realms. The durable winter ready materials are rugged, yet elegant. The pop color laces and three stripes branded velcro strap give the boot a look that functions far beyond its utilitarian genesis by adding modern stylish details. Protection is key, but so is style. 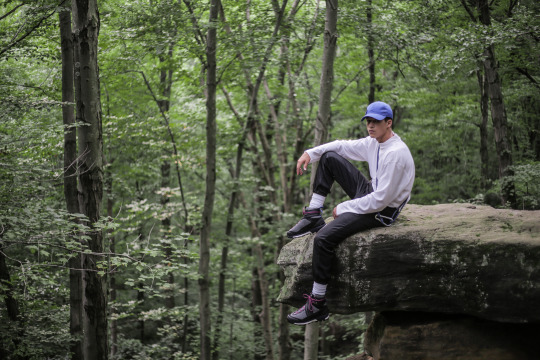 Xhibition, is known throughout the midwest for its premium collection of footwear and apparel, and the collaboration had to represent the region as well as Xhibition’s brand and ethos. To celebrate the launch of their first adidas Consortium product, Xhibition created a capsule collection that ties in the boot’s design, while furthering the connection to Northeast Ohio. Specifically, Xhibition partnered with New Era to create a unique hat featuring ripstop nylon and a wrap around strap alluding back to the boot’s design. Additionally, they commissioned Cleveland’s Cha-O-Ha Design to create an exclusive EDC Card Multi-Tool. The Xhibiton x adidas Consortium Terrex Tracefinder is available online and in-store at Xhibition.co and launches at at all adidas Consortium accounts on Saturday 10/28.